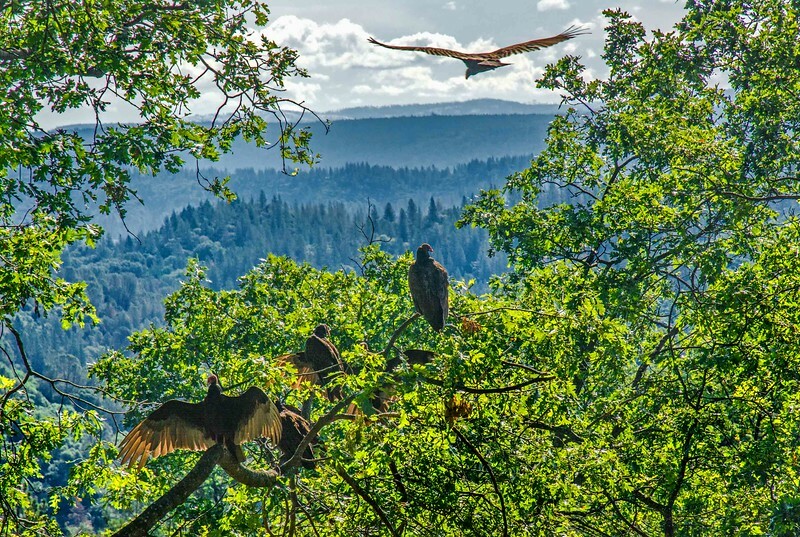 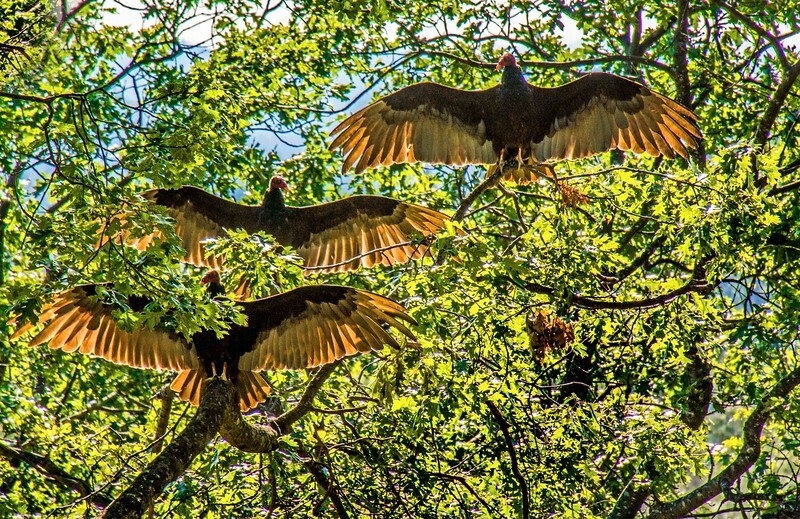 Turkey vultures gather high in the trees and preparing to head into a long day riding the valley thermals looking for food. 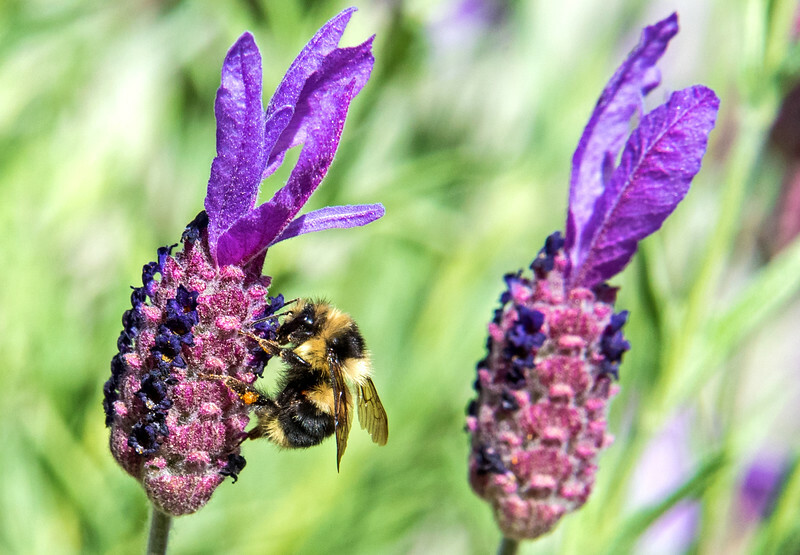 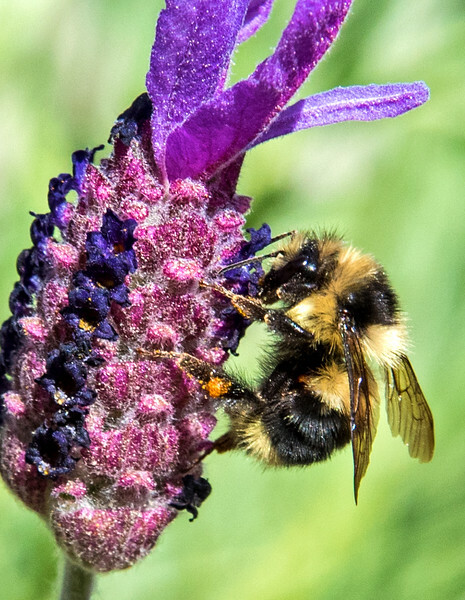 A bumble bee gathers pollen on a lavender bloom. 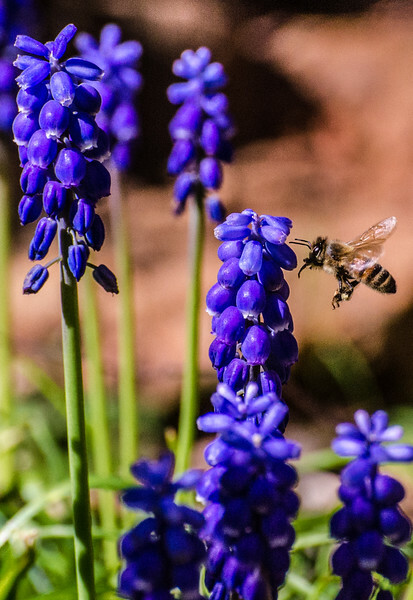 A honey bee surveys a cluster of blooming Blue Bells for store of pollen. 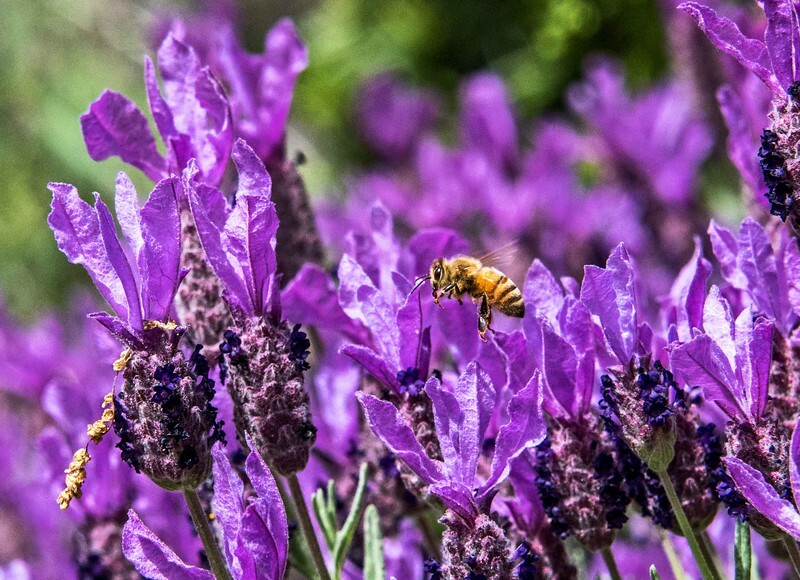 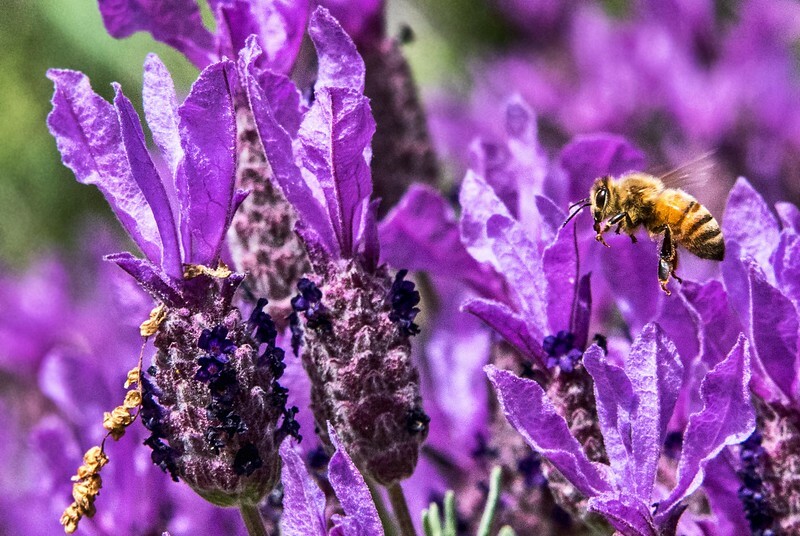 A honey bee surveys a field of lavender blooms for pollen stores. 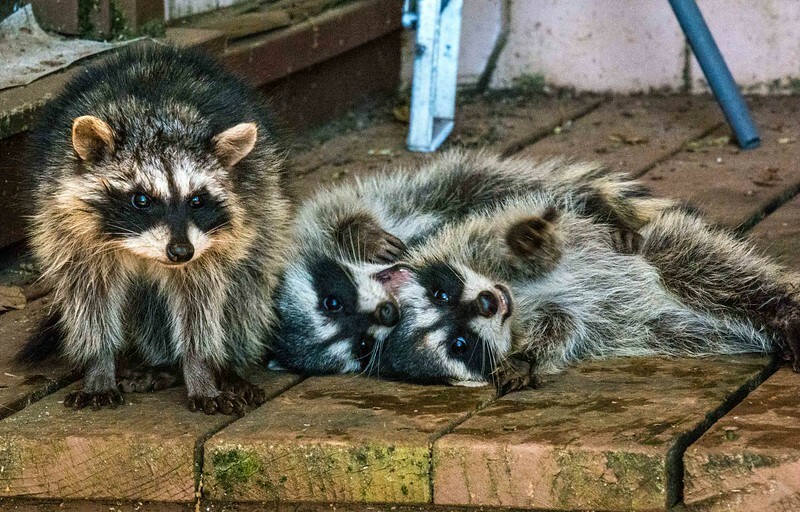 Two raccoon cubs wrestle and play while the other stands guard. 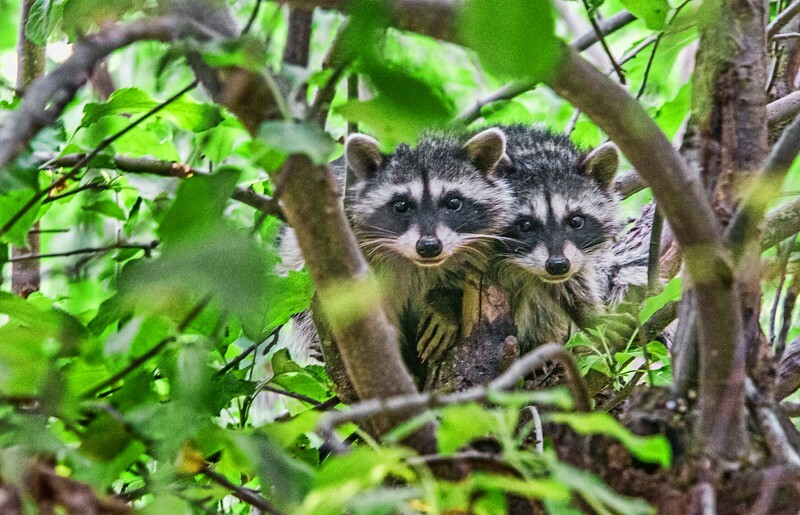 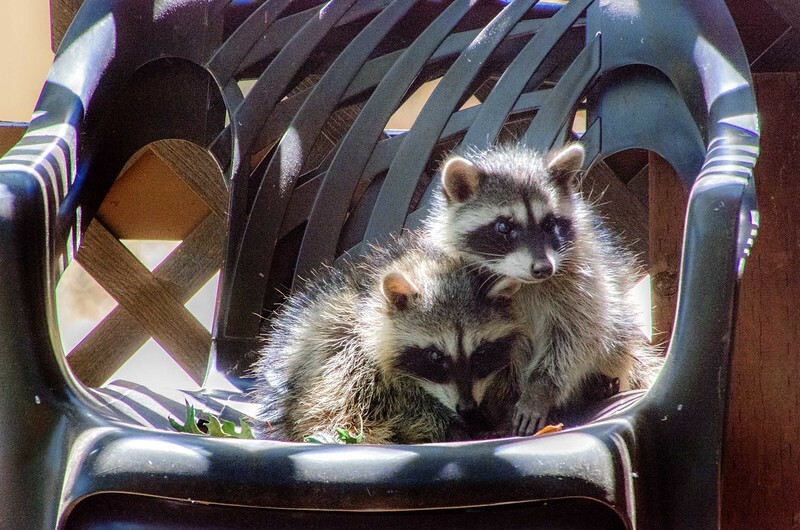 A pair of raccoon kits comfort each other in the absence of a missing mother. 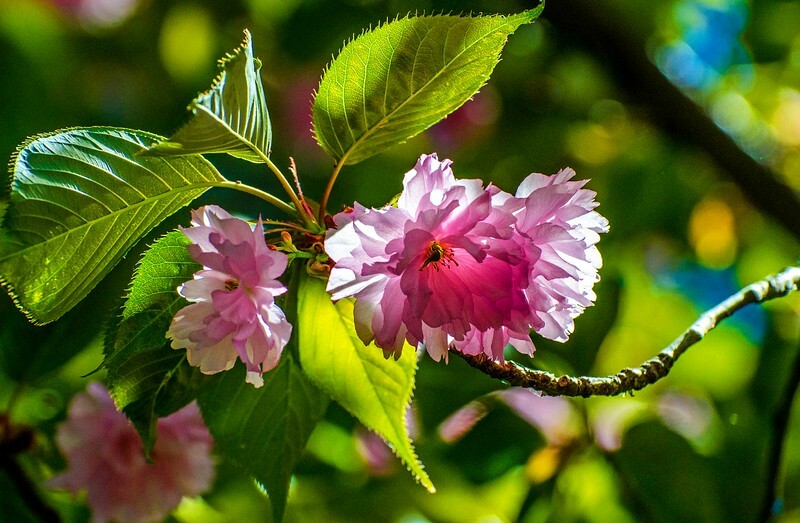 Back lit by late afternoon sun, the rich hues of an ornamental cherry bloom explode with color. 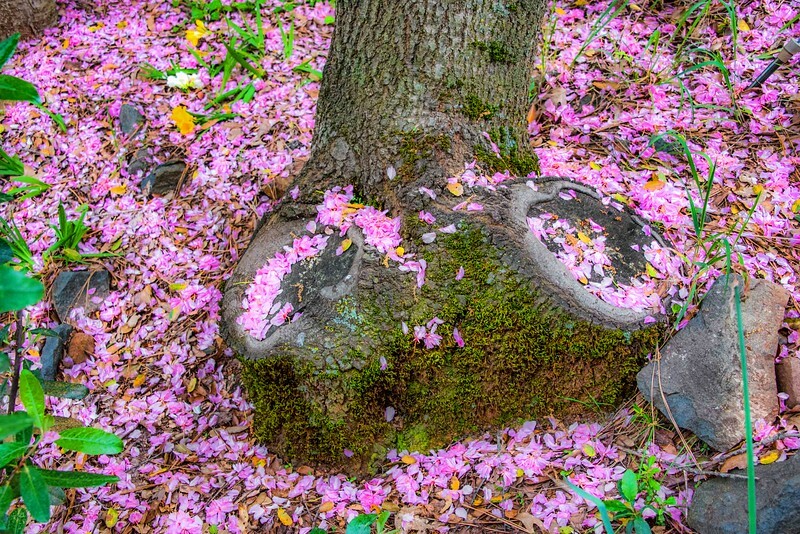 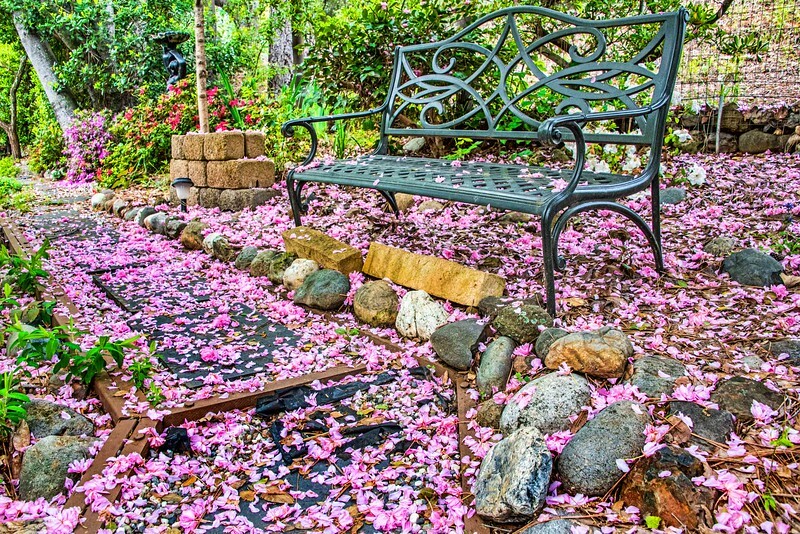 Our ornamental cherry tree sheds its blossoms in glorious shades of passion pink. 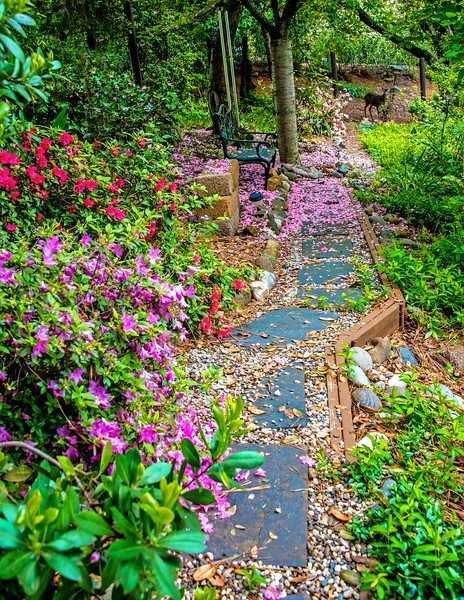 Azaleas and cherry tree blossoms burst with color along our garden path as a young doe gazes through the fence. 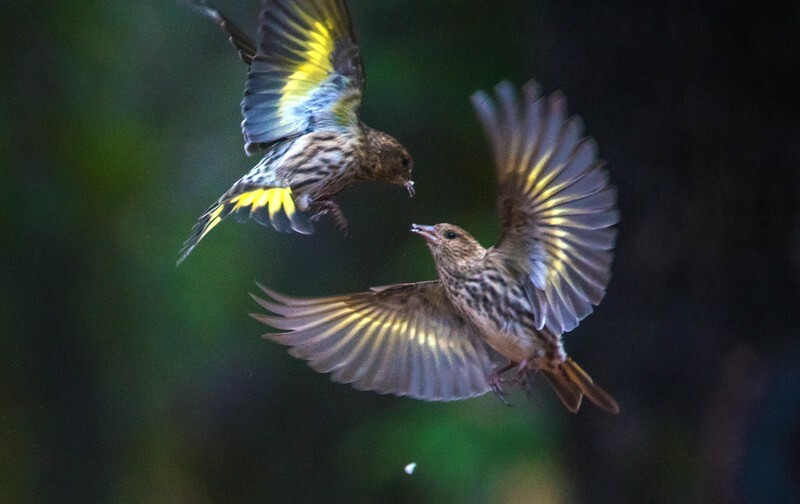 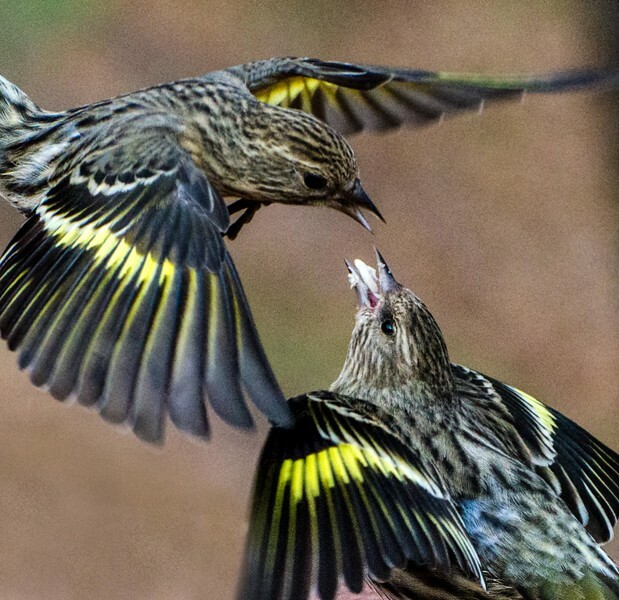 Two finch battle in mid air over seeds source at a local feeder. 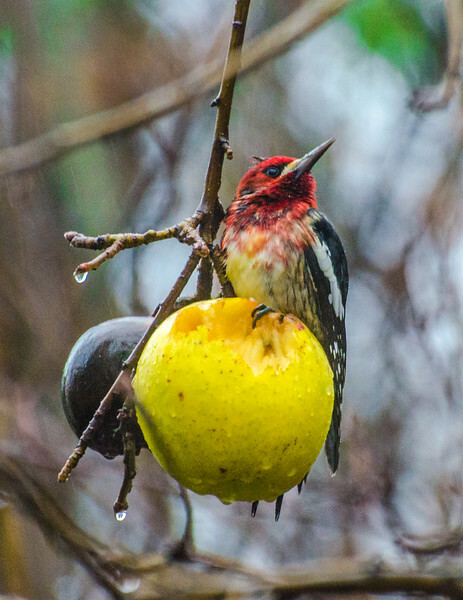 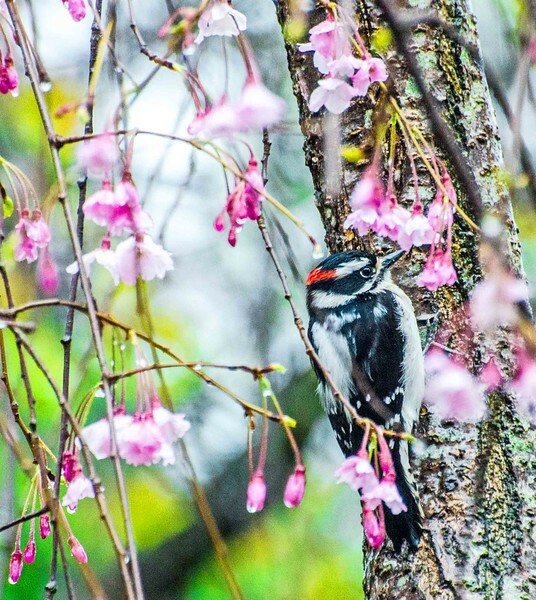 A male Downey woodpecker skitters among our Higan Cherry Tree. 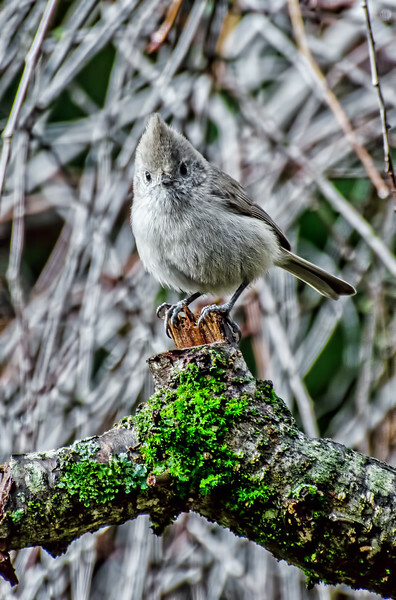 An immature titmouse stare down the photographer in this gripping confrontation between two powerful forces. 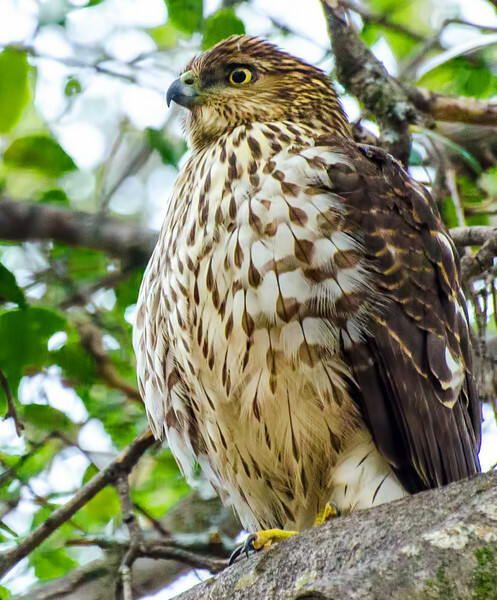 Young Red Shouldered Hawk surveys the tree canopy for possible prey. 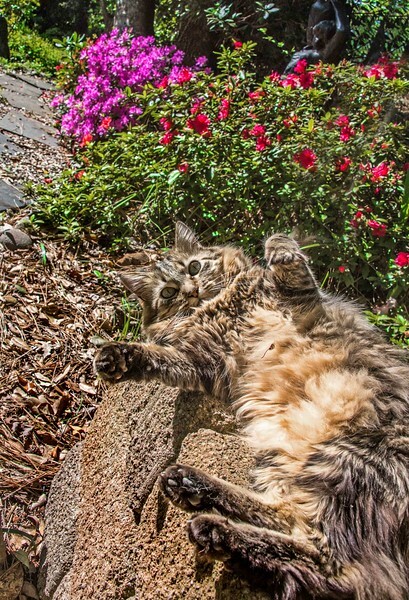 Our cat Yoshi guards the Azalea walkway daring anyone to play. 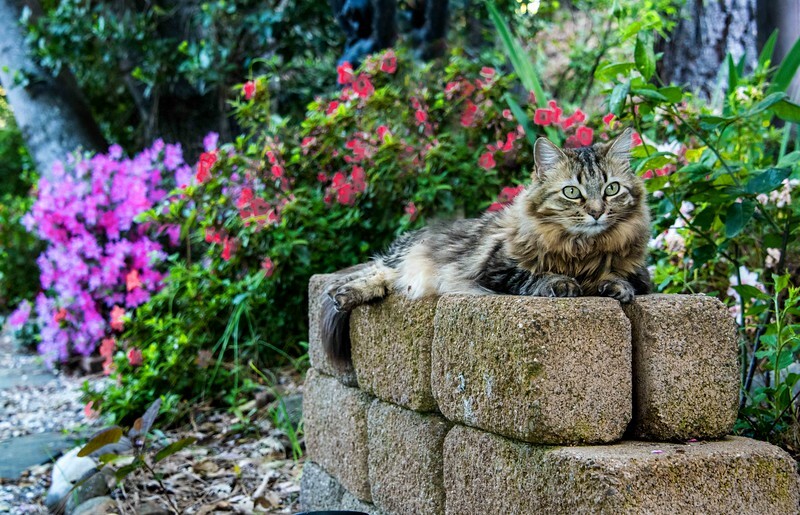 Our cat Yoshi awaits visitors along the azaleas walkway which offer rich color during their spring bloom. 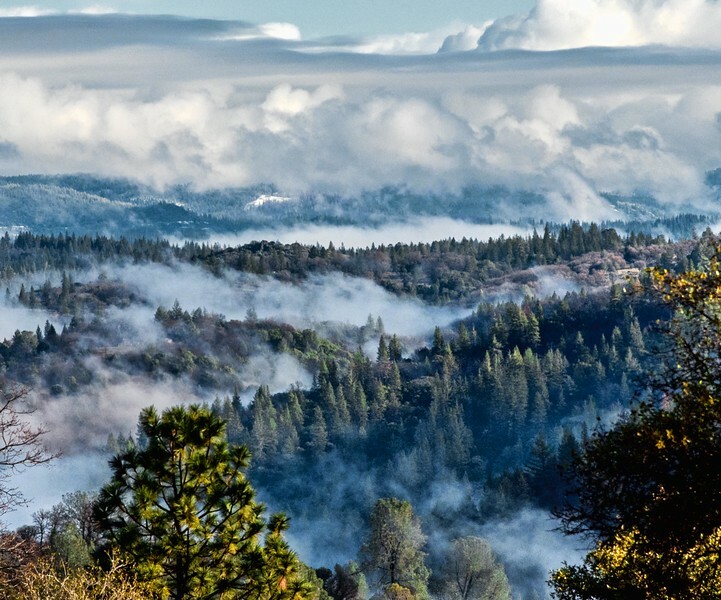 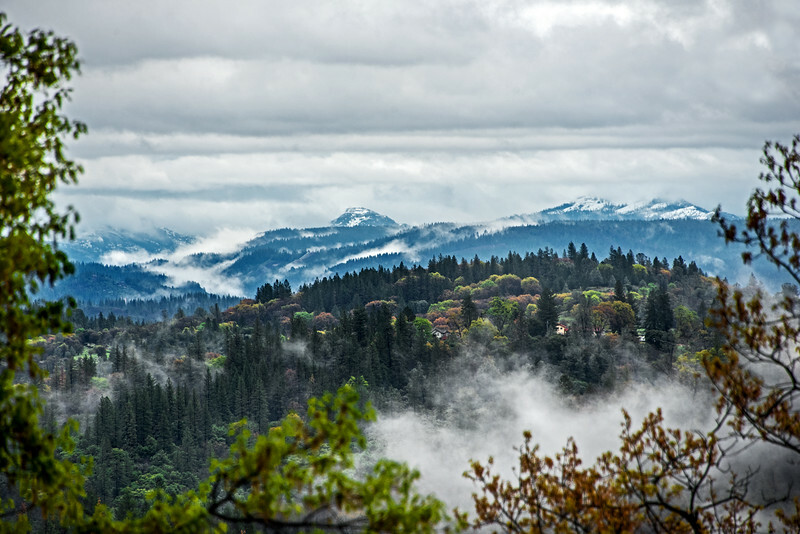 Thick mists raise among the foothill canyons after an autumn rain. 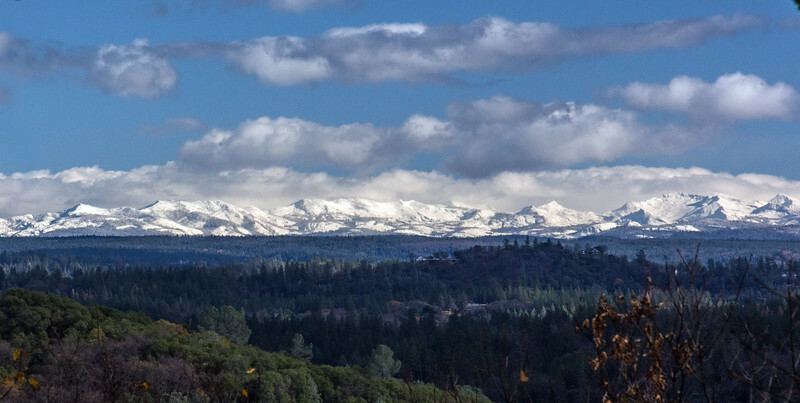 Looking east to west to the Crystal Range Mountains which harbor the Desolation Wilderness which serves as the watershed for the famed Lake Tahoe.